Stew Armstrong is the Lead Pastor of Encounter Church. Growing up in Houston, TX, he graduated from Baylor University with a Business Management degree. 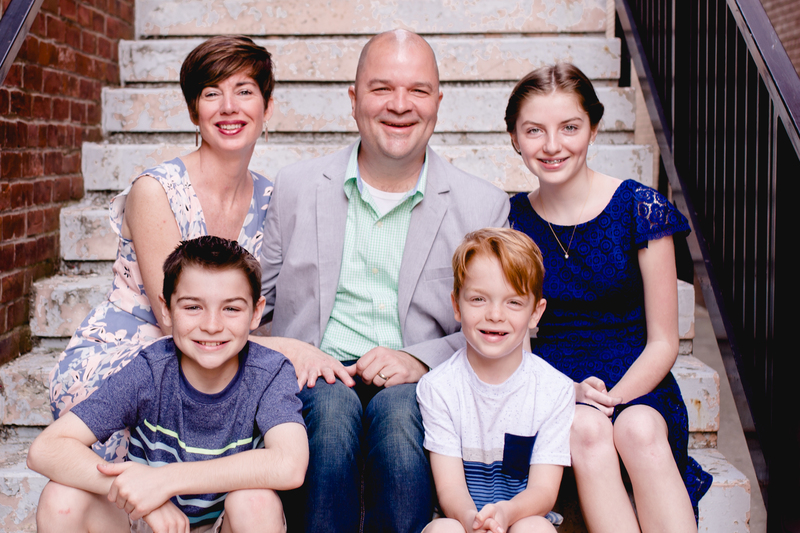 While he was in college God used a series of events to call him into full time Christian ministry, and he went to Dallas Theological Seminary to get a Masters degree in Theology from 1994-1998. He served as a youth pastor or college minister for 18 years before he was called to start Encounter Church. Stew is a disciple of Jesus who just wants to learn more and grow closer to Him each day, though that often means going through periods of brokenness which lead to greater authenticity. From Stew: The two things I love the most in my life are honoring God with my family and with the ministry He’s graciously allowed me to serve in. I’ve been married for 18 years, and Sarah has truly been a blessing to me as a coworker in ministry and now as a full-time mom of three. I absolutely love walking in the door after a long day at work to the (usually) joyful cries of my children, Charis (15), Callaghan (12), and Joseph (10). Favorite verse: My life verse is 2 Timothy 2:2, which says “And the things you have heard me say in the presence of many witnesses entrust to reliable men who will also be qualified to teach others.” I want this ministry to reflect this challenge. Favorite Food: Tex Mex down in Houston! I love Pappasito’s fajitas!!! I also love a good shrimp Po-Boy or TX BBQ brisket. Favorite thing to do with family: I love to coach my kids’ soccer teams, wrestle and play with my boys, camp in the popup camper, have a date night with my wife… even sneak a date with my daughter. If I have a day to myself, I love to read or else watch the Florida Gators on TV!